This handsome Pine Cone and needle patterned pendant ring with pine branch accents is suspended from chains and illuminated through Silver mica panels and has an Antique Copper finish. 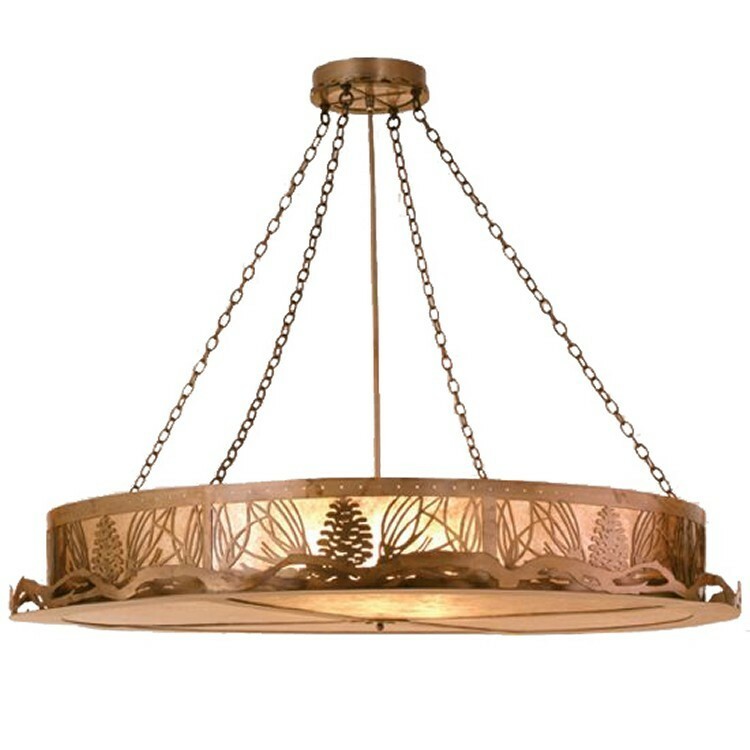 These handsome Mountain Pine Inverted Pendant Lights with pine branch accents is suspended from chains and illuminated through Silver mica panels and has an Antique Copper finish. 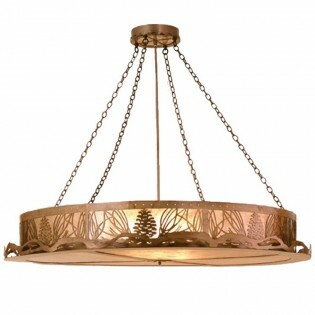 Mountain Pine Inverted Pendant Lights are available in eight different sizes to accommodate any space in your home.